Cats are known for being stoic, insolent little bastards, who expect nothing less than unconditional, undeniable, unrestrained love in return. And we mere humans can only obey their every desire, even when our number one companion gives zero damns about our lives. #1 - That time you needed to print something urgently. Oh, you need to use the printer? Well too bad, it just happens to be one of the warmest places in the house and no one likes a warm place like a sleepy cat. #2 - That time the book got really good. 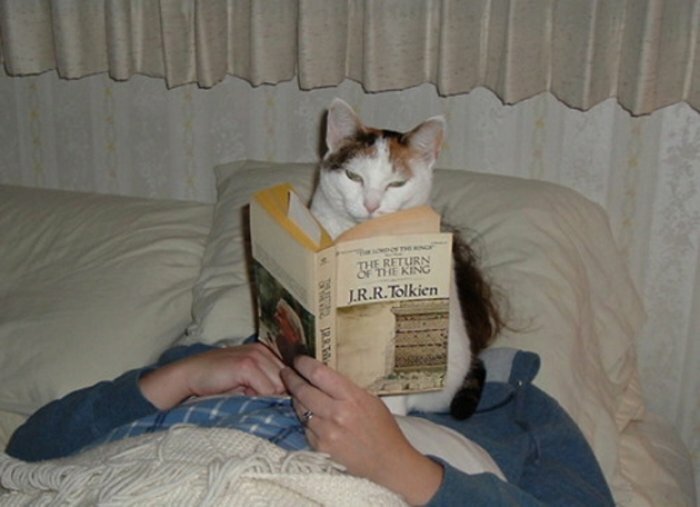 You've been reading too much and I should be the most important thing in your life right now. Take this as an intervention, for MY sake. #3 - That time you had a deadline. You've got a million things to do? 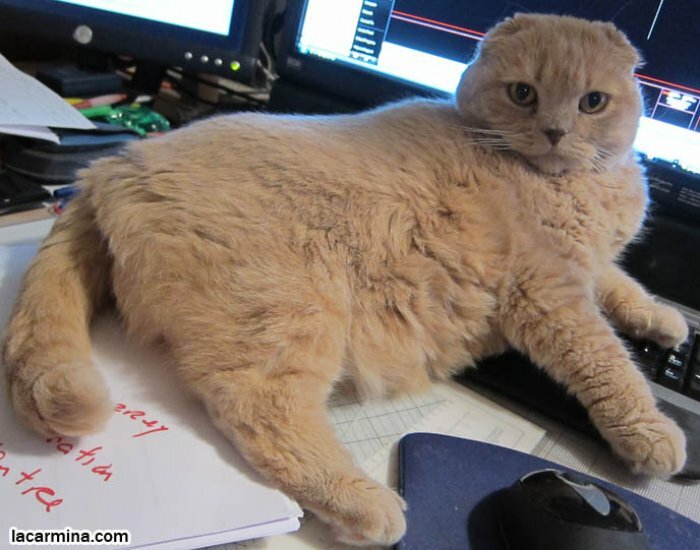 Don't worry, I'll just take a nap while you get to work… this open book right in front of you looks pretty comfortable. #4 - That time they had a sleepover. 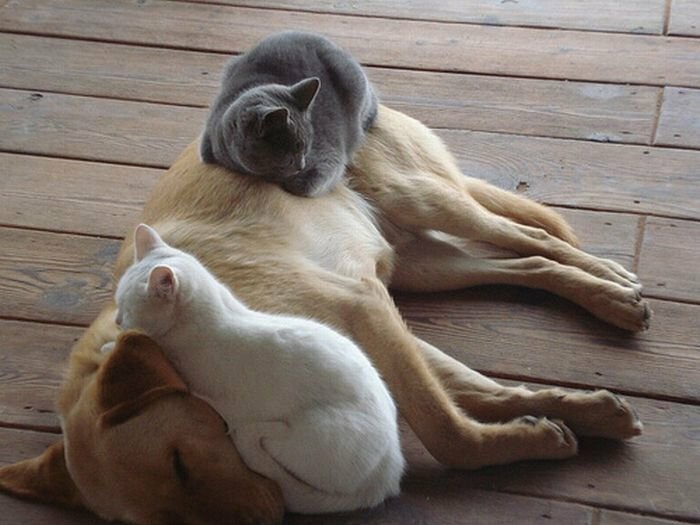 The dog is always a good place to take a siesta. 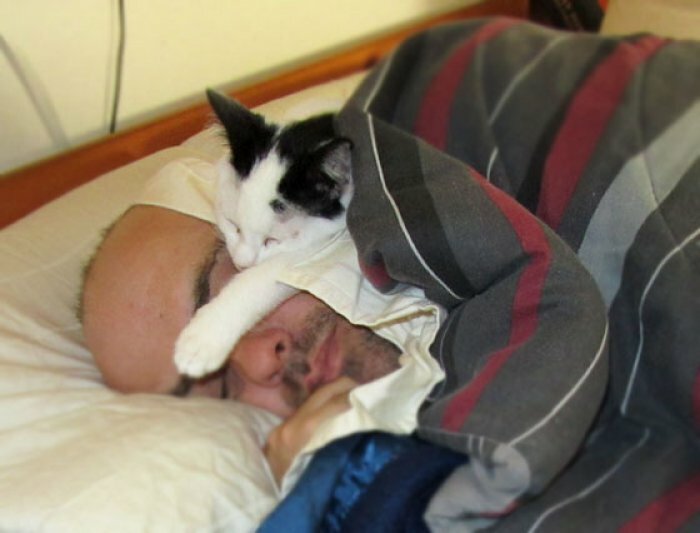 He's warm and keeps the watch while you get some beauty sleep. Dogs are useful after all. #5 - That time your face wasn't sacred. Yeah, there's plenty of space on the bed, the chair, and the empty spot beside you, but your face is so much more organic. 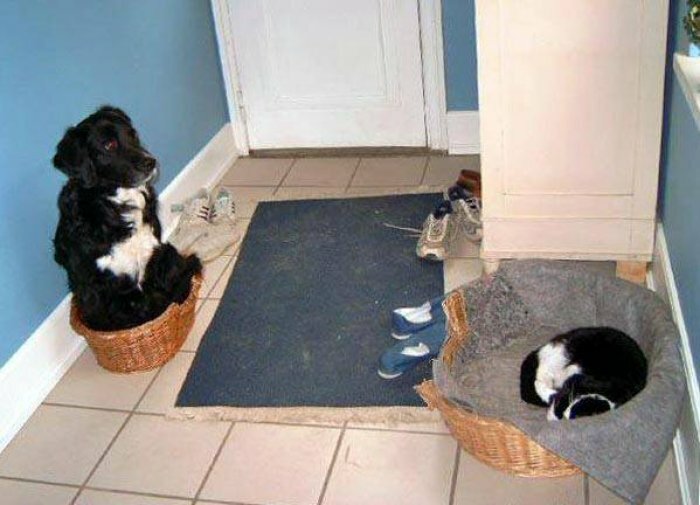 #6 - That time there were assigned beds. Oh, cool- assigned beds! DIBS ON THE BIG ONE! Assigned beds are so cool, for some reason they keep giving the dog a tiny basket (I guess that means they don't love him). 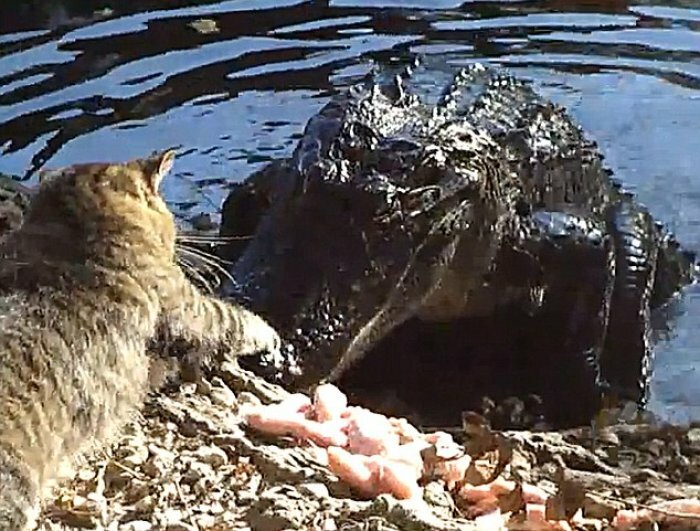 #7 - That time an alligator tried to steal the chicken. I've never been one to discriminate enemies based on their size. A cat, after all is fearless and obviously superior to any other being on earth. #8 - That time you needed some privacy. What can we say? Life is boring sometimes and you're our only source of entertainment. For some reason, your toilet sessions are hilarious. #9 - That time there was a new sprout. It's your own fault for bringing new plants into the house. If your three-year-old bamboo didn't make it, what makes you think these seedlings will survive. You know I need my vitamin D.
#10 - That time there was a sheer drop and no sweat. I like to relax with a nice city 200 km below me. Have you ever been calm and thrilled at the same time? 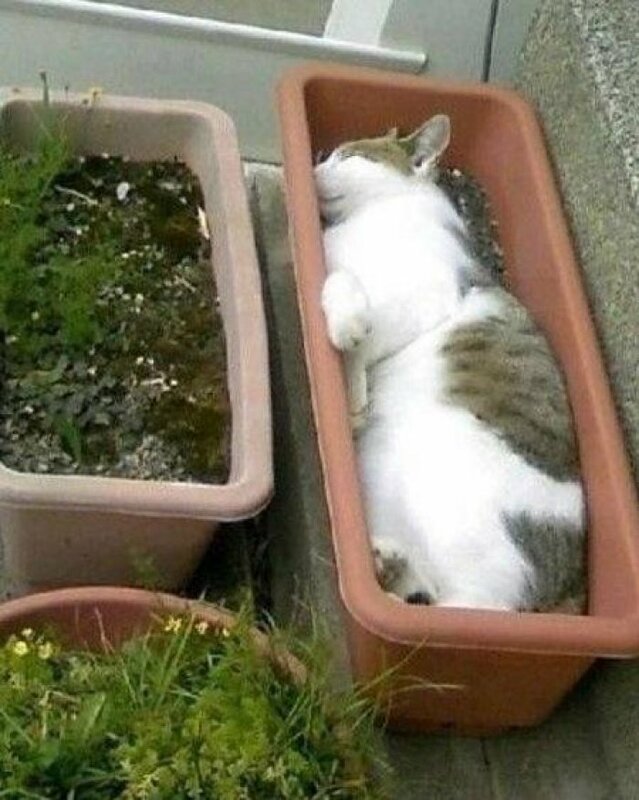 I thought not- you're not a cat.